Podcast Perfect: 5 Podcasts You Can’t Miss This Week! IVM Podcasts, India’s biggest podcasting network, brings you 5 awesome shows you need to listen to this week – across genres like comedy, pop culture, entertainment, public policy and current affairs. And the best part? 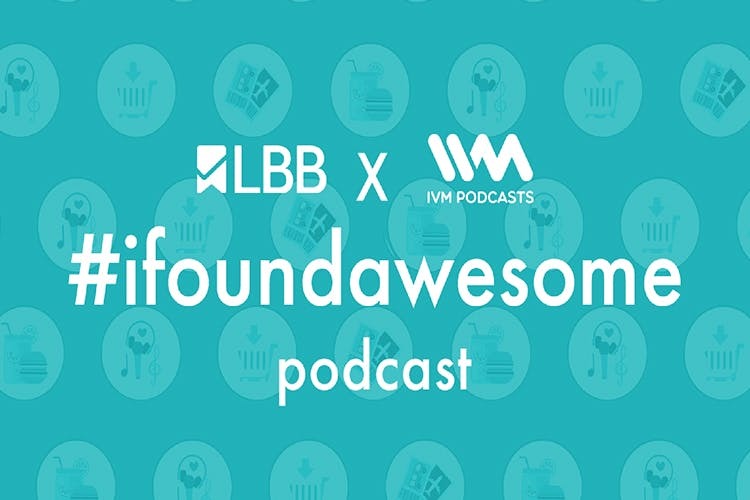 LBB’s fifth #ifoundawesome podcast ever is live on IVM! Catch the deets in the list below. Want to check out an exciting new restaurant in your area, quirky accessories, a cuppa artisanal coffee or a quick weekend getaway? This week, we’re spilling all that and much more on the #ifoundawesome podcast. Tune in here to get the deets on 5 new and unique places you need to check out in Delhi, Mumbai, Bangalore and Pune (you’re welcome!). Tune in here! Every week, the IVM staff spills their personal pop culture recommendations of books, movies, TV shows, apps and sometimes even podcasts, board games, and anything in the world that fancies them! IVM staffers Jaanam, Kavita and Navin recommend a book, a documentary film and a YouTube video. And, we have a recommendation from Geek Fruit’s Dinkar. In the second round, the discussion is about all the best non-romantic songs ever! Tune in here! Varta Lab is a delightful concoction of stories featuring Aakash Mehta, one of India’s most obsessive storytellers and Navin Noronha, who is an okay person. They tell stories to each other from their life and welcome others to do the same. This week, Kopal from Tape A Tale and Amandeep, a viral storyteller share tales us about snapping fingers, crazy college gigs and more! Tune in here! Healer and Coach, Chetna takes us through the A-Z of Positive Action on the Positively Unlimited Podcast. She talks of a mindset that can help us discover our potential to the fullest, with each episode. This week, the the ninth card from the A-Z of PositiveAction deck is I for Invest in Yourself. Tune in here if you haven’t really figured out your inner potential. It’s a definitive show where the inimitable Cyrus Broacha talks about life in urban India, politics, sports, civic sense, traffic, kids, food and simply everything that matters. This week on Cyrus Says, ace music composer Clinton Cerejo opens up about his collaboration with A.R. Rahman and Michael Bolton, the ultimate Coke Studio experience and lots more! Tune in here!